Explanation: Thinking about spending the Holiday Season in low Earth orbit? Astronaut John Blaha and his cosmonaut colleagues Valeri Korzun and Alexander Kaleri are doing just that onboard the Russian Mir spacestation. You can e-mail them Seasons Greetings. Blaha replaced Shanon Lucid as a Mir resident during the STS-79 mission flown by the Space Shuttle Atlantis and is scheduled to be replaced by Jerry Linenger when Atlantis makes another shuttle run to Mir during the STS-81 mission. 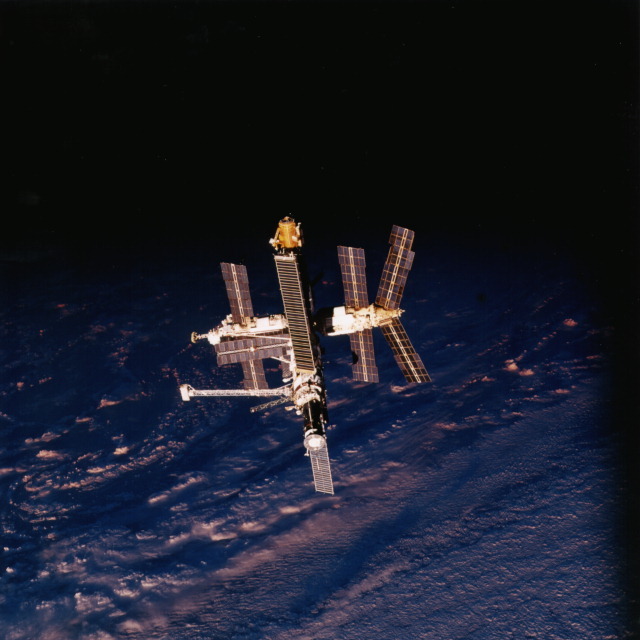 The Mir is seen here 200 miles above the Earth as the sun sets following the latest Atlantis undocking. 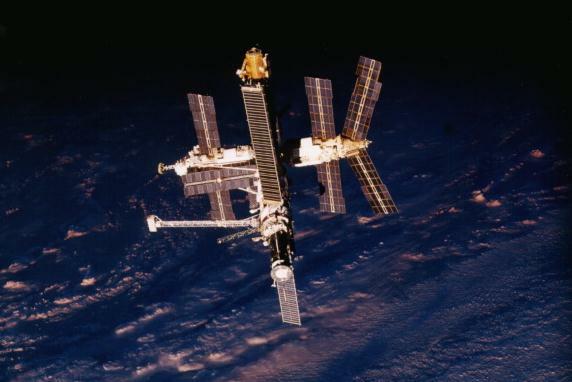 NASA shuttle flights to the Mir are part of the Phase 1 program for construction of the International Space Station.